Marijuana sales and industry set to soar in the U.S.
With the number of smokers switching to vaping on the rise, could the vast number of cannabis users be vaping marijuana by 2020? More than half the US has now legalised medical cannabis and the number of states legalising recreational use is increasing. In places like Denver Colorado the first stores selling cannabis for private consumption opened back in January 2014, the trend is set. This may well result in a significant increase in users of Marijuana. Taxes resulting from this activity will be welcome no doubt. In the mean time drug related crime statistics are down! The Marijuana Business Daily published its annual report on the cannabis industry in the U.S. in March 2016 and predicts an overall economic impact could hit some $44 billion by 2020, this figure does not represent the actual sales of marijuana itself but the total income produced in the U.S. economy as a direct result of the marijuana business including sales. The related figure for 2014 and 2015 are around $9 billion and $13 billion respectively with an anticipated £14-$17.2 billion for 2016 including around $4 billion of retail sales of marijuana. This will involve many more consumers using cannabis. Vaporizer Use On the Increase? 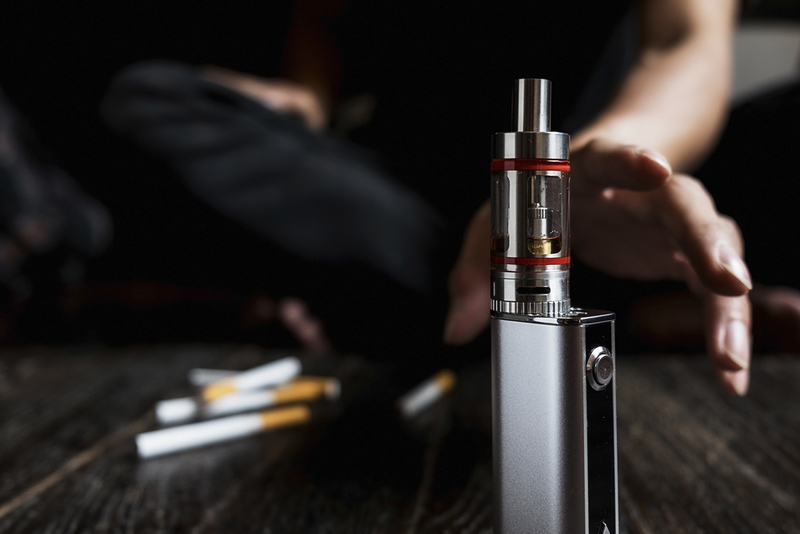 In an effort to capitalise on this potential growth market some E cigarette companies now specialise in producing vaporizers that will allow the user to vape marijuana where it is legal to do so. Leading products in this space include VMR’s V2 Pro Series 7 and the Pax 2 by PAX Labs Inc. Vaping is considered less dangerous than smoking, this should lead to overall health benefits and cost savings for those who switch from the traditional “smoking” to vaporizing cannabis. If the US market expansion goes as some predict surely those looking to use dry herb will make the switch away from combustion to vaping. And in turn the lead vaporizer brands are set to take advantage of this opportunity. If the predicted cannabis market growth occurs, greater numbers of users will be involved. What are the health implications? In particular the potential costs of the longer term effects of cannabis on pulmonary structure and function on this increase in weed consumption? A number of studies have shown the potential advantages of vaporization over combustion of cannabis. It does appear contradictory that for the medical or therapeutic use of cannabis it can be prescribed in order that sufferers can “smoke” it – hardly a safe delivery method! I cant think of any other medicine that people smoke! A report on the use of vaporizers in the International Journal of Drug Policy conducted by M. Earlywine and N Van Dam concluded “These preliminary data reveal meaningful improvements in respiratory function, suggesting that a randomized clinical trial of the cannabis vaporizer is warranted. The vaporizer has potential for the administration of medical cannabis and as a harm reduction technique”. The study, although not comprehensive looked at 20 frequent cannabis users (4 or more times a week, 2.4-23.4 g/week) who had at least two pre-existing respiratory symptoms as a consequence of cannabis use. Following one month, of those using the vaporizer exclusively to consume their marijuana the vast majority decreased respiratory symptoms and improved pulmonary function.